The city of a thousand faces! From hip club scene to Museum Island. Berlin has something to offer everyone. The hotel is located in the heart of the western part of Berlin. The KaDeWe, Gedächtniskirche and Berlin Zoo are just a few minutes away. You can reach us easily via train (Deutsche Bahn), BVG (Berlin public transportation) or car. Round off a sumptuous dinner at our The Wilson's Restaurant with a drink or cocktail at our sports bar or lobby lounge – the quality is matched only by the variety. Recharge your batteries and relax with a Thai massage, a dip in the pool, or a visit to our sauna or gym. Simply arrange your meeting directly from your own conference office. Our business center is available to guests and conference organizers for this purpose. The first 30 minutes are free of charge. Authentic American Prime Rib is our specialty, making our restaurant one-of-a-kind in Berlin. Top quality meat and gentle cooking methods make this succulent roast a culinary experience which we invite you to enjoy in our restaurant or on the summer terrace. In addition to other American dining classics, a large selection of international wines awaits you at Wilson’s – The Prime Rib Restaurant, open daily. In our 423 modern, comfortable rooms, guests have a 1,000 Mbit Internet connection at their fingertips. A fully digital TV system with 200 channels in 24 languages has something to interest everyone from tourists to business travelers. A total of 13 modern conference rooms, including the 1,278 sq. m. (13,756 sq. ft.) Conference Center accommodating up to 1,000 people, are available to you at the Crowne Plaza Berlin. Almost all of our conference rooms have windows providing natural daylight. Environmental protection and sustainability have not just been guiding our activities since the climate change controversy in the media. We have been working at the Crowne Plaza Berlin City Centre with all other IHG hotels for a long time to make a lasting impact on nature and the even better social togetherness. Therefore, we measure the impact of our hotel on the environment with the IHG Green Engage ™ system, a sustainability program of the InterContinental Hotels Group. We are constantly implementing new measures, that all coming generations will even live happily and with a good conscience in their environment. More than 200 measures and solutions for an even better environmental protection are available to our company. For example, we reduce energy- and water consumption and even we produce less waste. Naturally, our measures are also controlled. 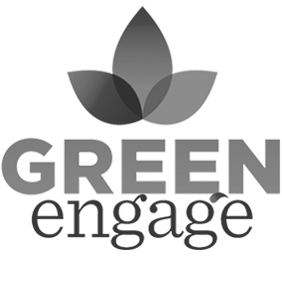 We get the IHG® Green Engage certification only after the analysis and the successful implementation of all measures. The sustainability monitoring system includes four possible certification levels.